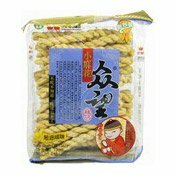 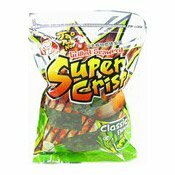 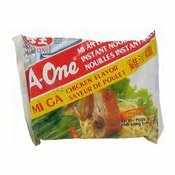 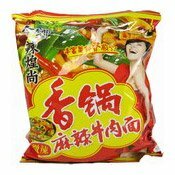 Ingredients: Noodles (85.4%): Wheat Flour, Modified Tapioca Starch, Palm Oil, Water, Salt. 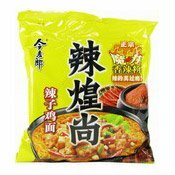 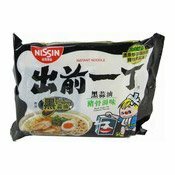 Soup Base (8.2%): Salt, Sugar, Black Pepper Powder, Garlic Powder, Artificial Chicken Flavouring (0.3%), Dried Green Onion, Flavour Enhancer (E621). 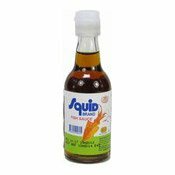 Oil Compound (6%): Palm Oil, Artificial Chicken Oil Flavouring (0.3%), Antioxidant (E307).